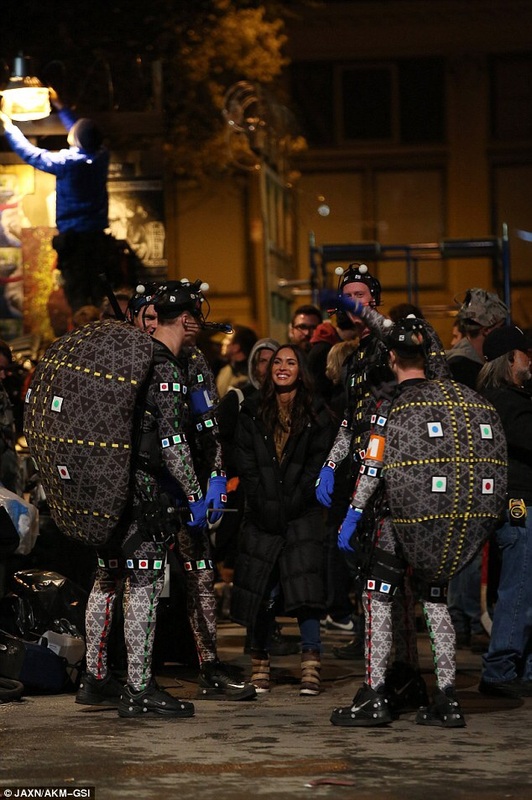 Filming has just begun for TMNT 2 and the crew have already been spotted on set! 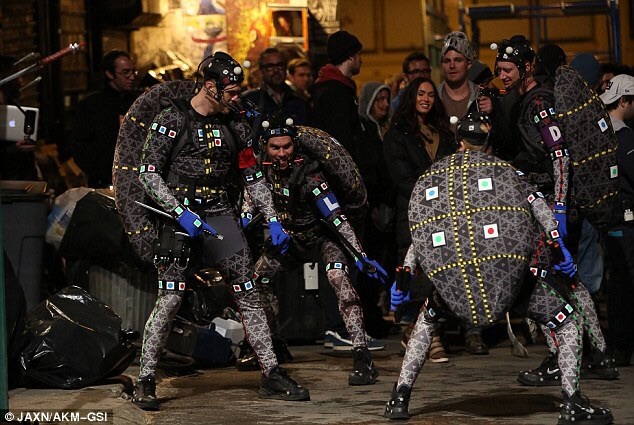 The sequel titled ‘Teenage Mutant Ninja Turtles: Half Shell’ won’t hit cinemas until June 2016 but that doesn’t mean we can’t get a sneaky preview into the upcoming film! 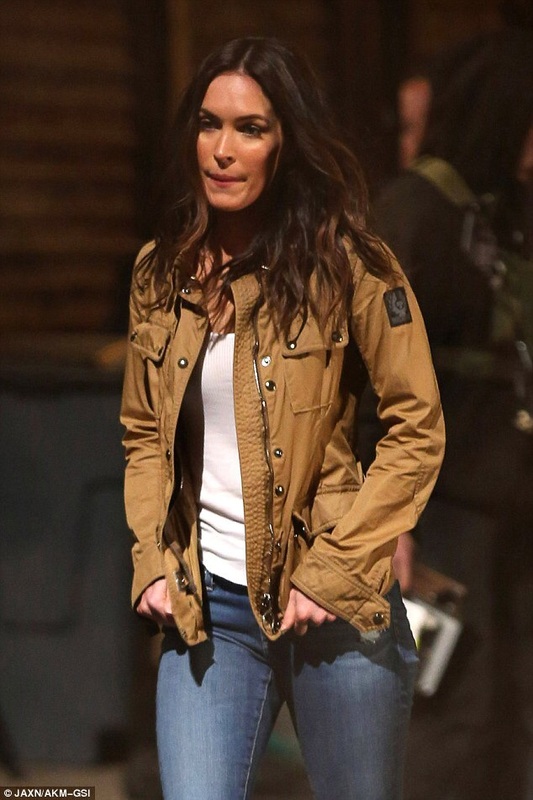 Megan Fox channelled her inner Britney Spears, rocking a ‘Hit Me Baby One More Time’ inspired outfit on set at Grand Central Station in New York. 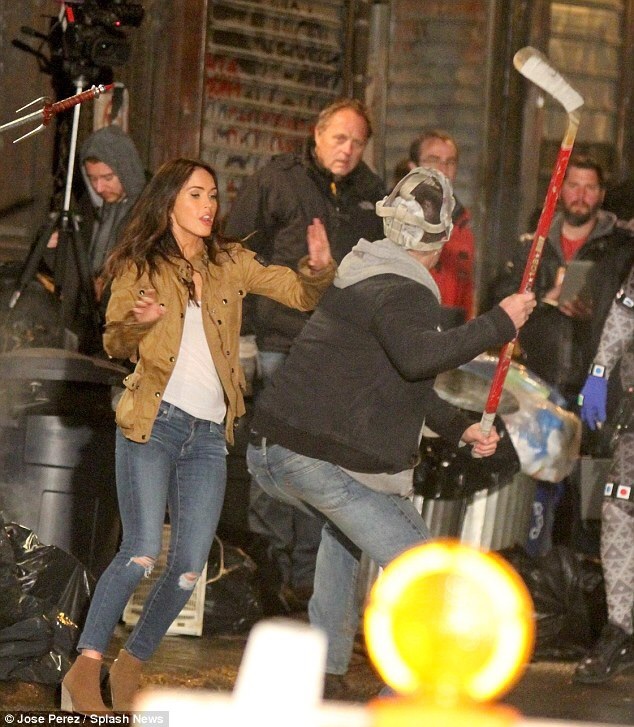 Megan who also reprises her role as April O’Neil in the sequel was spotted filming in New York City with the ‘Ninja Turtles’ and newcomer Stephen Amell (best known for his role as Oliver Queen in the hit TV show ‘Arrow’) was cast to play Casey Jones. Despite the first instalment receiving a majority of negative reviews, there’s no stopping the cast returning to the big screen as they have all signed on for three films which means there WILL be a final film after the 2016 release. Celebrity cameos will come from Victoria’s Secret Angel Alessandra Ambrosio along with Matt Barnes, DeAndre Jordan, J.J. Redick, Spencer Hawes and Austin Rivers who all play for Los Angeles clippers. We can’t help but take the hint that there just MIGHT be a basketball scene!